Whether it's outdoor kitchen's quality grills, awnings, gas lighting, or concrete stamping, let our outdoor living experts help plan your next projects. We have a wide assortment of quality gas logs, fireplaces, stoves and mantels, we can improve the comfort and value of your home. We offer competitive pricing, unmatched service, automatic delivery and will call delivery programs, and flexible payment options. Receive our latest promotions, safety tips and more! With Stable Propane, you pay a low monthly fixed rate all year. Convenient, affordable and worry-free. Click for more details and pricing. 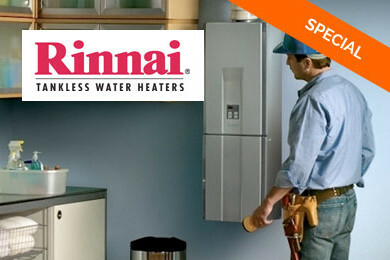 Receive up to $600 in rebates on Tankless Water Heaters. Speak with one of our tankless expert to determine your rebate amount. Save 10% on Firepit Tables from Outdoor GreatRoom Company. Our goal, since 1930, has been to provide our customers with the best products and the best customer service available at competitive prices. With these values in mind, E.C. Boyles founded G&B Oil Company and these values remain our business philosophy today. We’re a family owned company born and raised in North Carolina. For four generations, G&B has served homes and businesses throughout the western part of the state. Many of our customers have been with us for decades. Our mission is to be the premier energy supplier throughout Western North Carolina. With nine convenient distribution locations and over 85 years of delivery experience, we can serve all your energy needs. We believe in giving back to the community we serve. For over 20 years, we’ve held our annual G&B Energy Charity Golf Classic to raise money for local charities including the Yadkin Valley United Fund.